Owning a luxury car is always a privilege and we at Manhattan Motorcars recognize that fact. 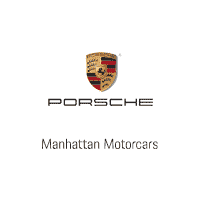 This has been our guiding principle when it comes to providing a wide range of Porsche vehicles – whether new or used – to our customers in Upper West Side and elsewhere in New York. Our commitment extends to providing repair and maintenance services for Porsche car automobiles. Using only genuine Porsche parts, you can enjoy your ride all the time. Visit us today at Manhattan Motorcars and witness what it is like to be served by the best in town. Forming part of New York City’s borough of Manhattan, Upper West Side is a neighborhood that lies in between Hudson River and Central Park as well as the West 59th and West 110th Streets. The real estate industry considers this neighborhood as the home to a smaller neighborhood known as Morningside Heights. Primarily a residential area, the neighborhood is also regarded as one of the most affluent in New York City.